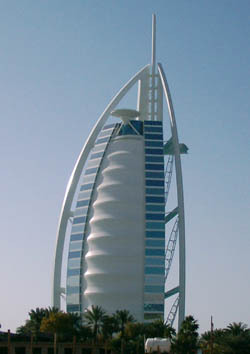 If you have not been on holiday to Dubai before then it may be a good idea to arrange for a package deal to Dubai. It can be quite cumbersome trying to find hotel accommodation, flights and car hire separately not to mention expensive and time consuming. With a package holiday, you can simply select the date that you want to travel, the number of people going on holiday, the dates you want to stay and if you require car hire. Many holiday websites and tour operators offer this service when you book online but the key is to ensure you get the best deal. The best deal could mean several things such as, a reduced rate per person, more beds in your room or even a complimentary nights stay. Just shop around to find the package deal that suits you. There are two ways to get a bargain, the first is to book far ahead in advance for example in the off-peak season, this will mean that you could potentially benefit from better rates. The ‘flip side’ to this is that you can book at a very late stage and get yourself a cheap late deal package holiday. The only downside to this is that you have to be ready almost instantly, and we mean almost instantly to fly out. This could literally mean days or even hours in some extreme cases. There are some exceptionally fantastic bargains to be found in Dubai. The country is one of the best tourist hotspots in the world and offers unrivalled luxury, beautiful sandy beaches such as Jumeirah on the coastline of the Arabian gulf and all year sunshine. No wonder its the best holiday destination in the Middle East. What are you waiting for book your package holiday to Dubai now!